Looking for a cheap activity? 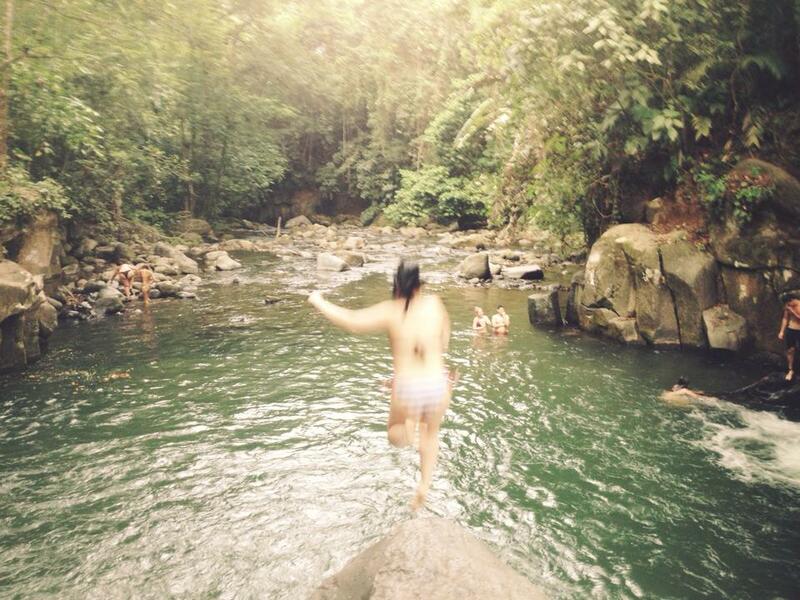 El Salto (the jump) is a free local water hole surrounded by a tropical forest. It's a great place to cool down on a hot day. 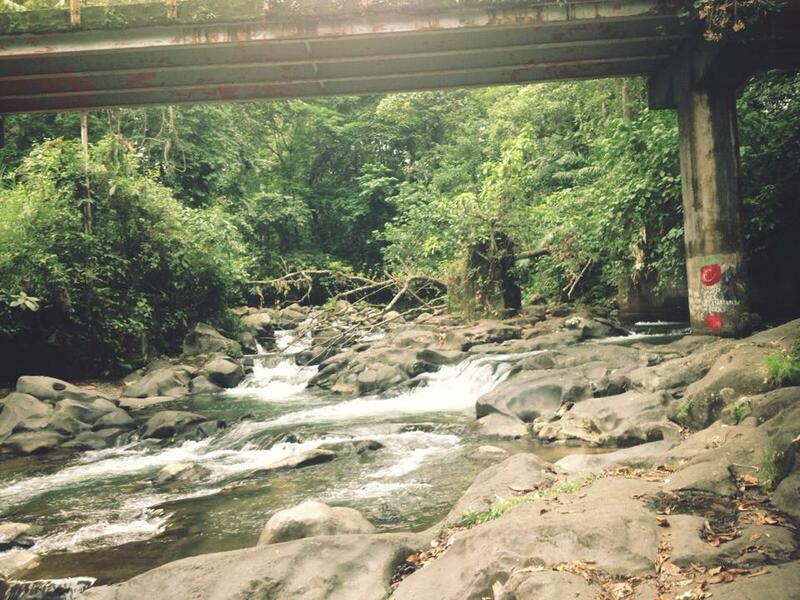 The water hole is a small clearing in a river, downstream from La Fortuna Waterfall. There are large rocks encompassing the river and a small waterfall leading down to the water hole. Spend your afternoon jumping off rocks, swimming in the water hole or hanging around the river bed. If you're feeling adventurous, try the rope swing! To get there, we took a taxi (for a cheap fee). It's about a kilometre south of La Fortuna, so we walked back to town afterwards. They drop you off before a bridge. Just walk down the left side of the bridge. There should already be a trail leading to El Salto.